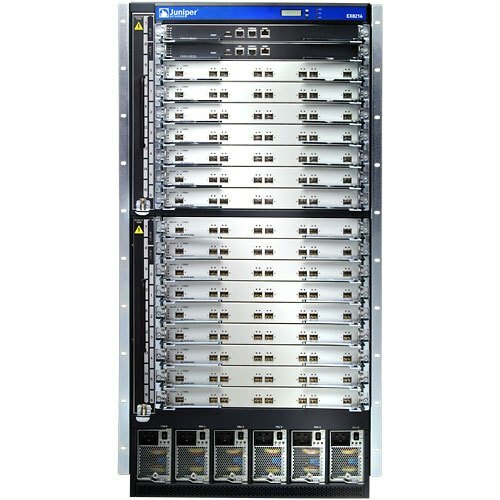 The line cards in EX8200 switches combine a Packet Forwarding Engine and Ethernet interfaces on a single assembly. They are field-replaceable units (FRUs) that can be installed in the line card slots on the front of the switch chassis. The line cards are hot-insertable and hot-removable: You can remove and replace them without powering off the switch or disrupting switch functions.